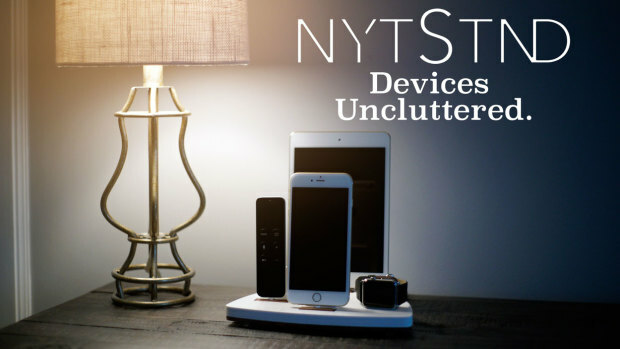 Live on Indiegogo, NytStnd is an elegant and minimalist solution to solving device clutter. "Devices are necessary, but expensive. NYTSTND is necessary, and relatively inexpensive. Being able to organize and charge, without making another large financial investment is a huge draw for our customers,” says Victoria Norris, Co-Founder. NytStnd, the revolutionary new dock that allows users to charge all of their devices at once, is live on Indiegogo and raising funds to bring the project to life. NytStnd was developed out of a need to declutter a growing array of products. As Apple’s line of products continues to grow, so do customer’s need to keep them charged. 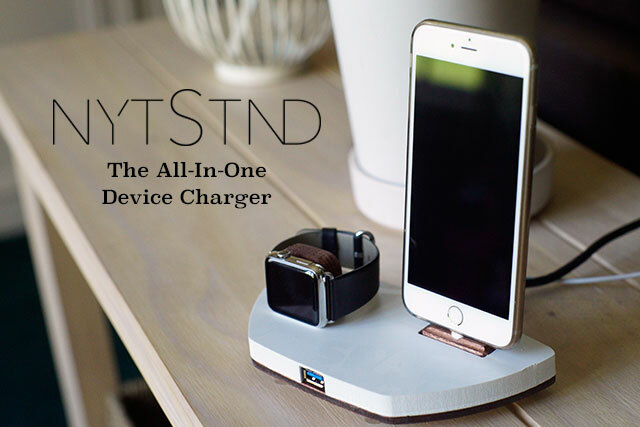 NytStnd is a beautiful and affordable solution that is able to simultaneously charge the Apple iPhone, Apple TV Remote, Apple iPad, and Apple Watch. An Android Cord Base is also available as a separate option. The NytStnd is a smartly designed product that is both compact and elegant- making it the perfect fit for bedrooms, kitchens, offices, or classrooms. It is a two tone design that combines a clean white top with an 100% wood base available in your choice of either oak or maple. NytStnd is also the only dock on the market that is combining plugs for mixing and matching devices, as well as providing an additional USB charging port while allowing users to replace cords. NDF+Group LLC, was created as an outlet for co-owners Chad Diez and Victoria Norris to utilize their industry experience from the corporate worlds of Design and Marketing, into the small business sector. From ideation to creation, this family owned business is capable of designing, manufacturing, and launching mainstream products.